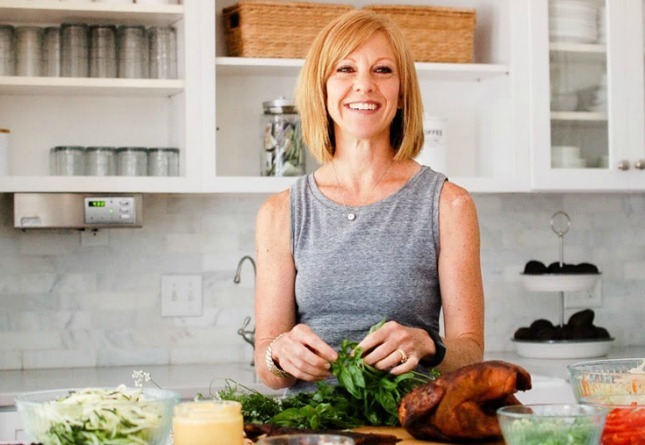 My cooking did evolve, and I continued to keep up with current health fads. But when my homeschooled sons hit elementary school and our grocery budget began to take a hit, I knew there had to be a better way to fill up their growing bellies. I devoted my time to research, and came to the conclusion that whole food was the way God intended us to eat. Still mindful of the food pyramid, I began grinding wheat to make bread, and replaced all the “fake” foods in my home with homemade, healthier versions. I started a garden and slowly began sourcing raw milk for cream, yogurt and cheese, grass fed beef, pastured pork, chicken, and eggs. It worked. We were getting fuller, our budget was stretching, and I was developing a passion for cooking. My thirties brought a little more freedom as my sons were getting older, so exercise became easier to fit into my homeschooling schedule. Though I was never overweight, my vanity would always have me desiring to be a bit leaner. 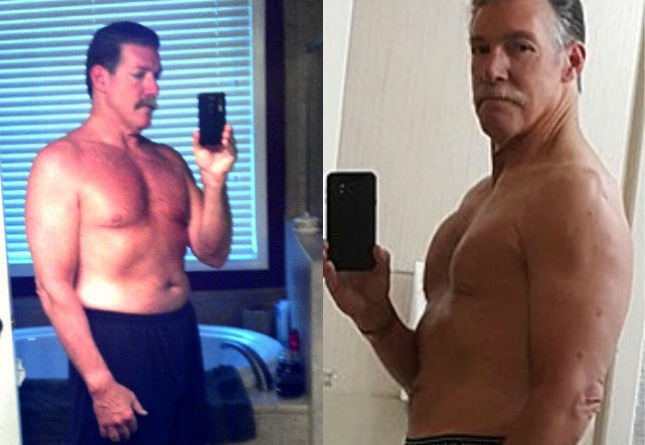 I could never manage to drop those few extra aging pounds, despite my exercise habits. I rode my bike a hilly thirty miles a day (1.5 hours), six days a week. Though I experienced many benefits from biking, I was still unhappy with my body composition. 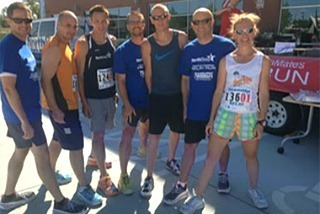 Noting that runners tended to be thin—especially in their legs—I decided to reap this benefit and started spending more time with my husband by joining him in running. I routinely ran seven to eight miles a day, six days a week, always maintaining a chronic 7:15-7:30 pace. I had been experiencing migraine headaches since the birth of my third son. I had a melanoma removed from my foot in my late thirties. 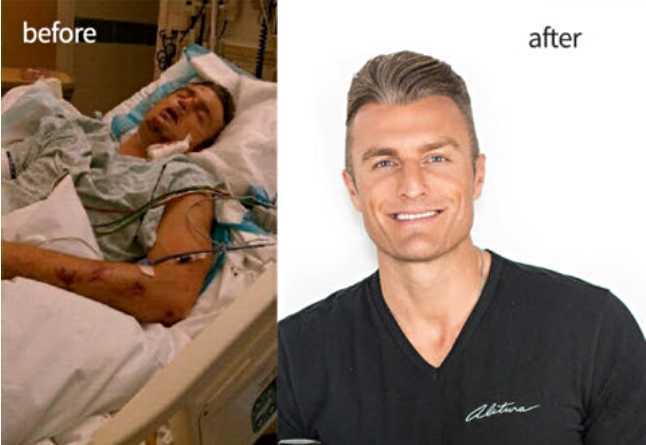 Around the age of forty, I began to experience more negative changes in my body. I was gaining weight, always tired, and I was experiencing Seasonal Affective Disorder. I just felt “off.” I didn’t have time for more exercise, and eating less would’ve been absurd. I was beginning to believe that I, too, would fall prey to being fat over forty, and all the other ailments of aging. I had never been on a diet in my life, and since we were eating whole foods, I didn’t see a need for change. 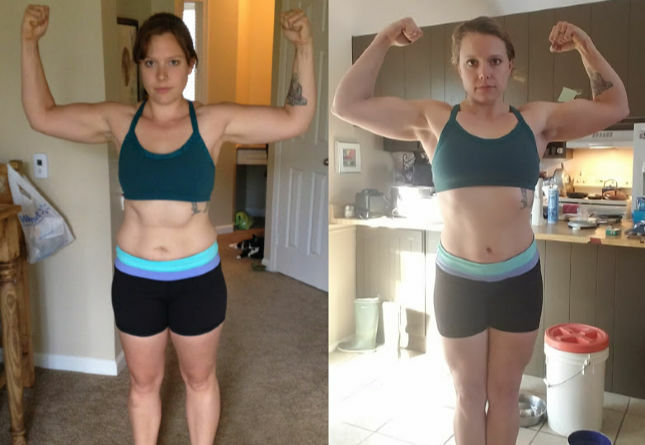 After attending a conference and listening to a health and fitness speaker, my husband gave up grains in an effort to lose the forty pounds he had gained, despite consistent exercise and my homemade cooking. He lost most of his weight and was feeling great. I was beginning to wonder if this might be part of my issues. 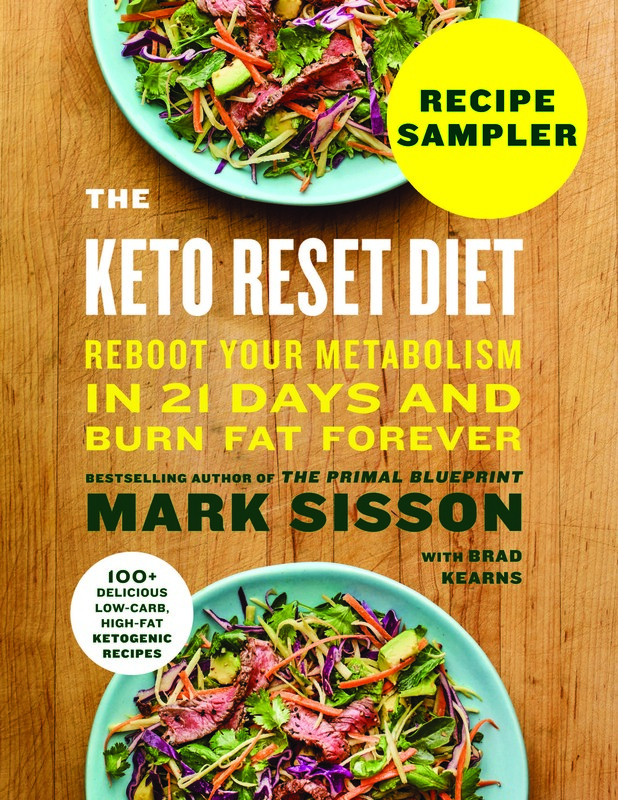 One night in March, while enjoying a meal with friends, someone suggested The Primal Blueprint, and it became, for me, one of those books that forever changes your life. Mark’s set of simple instructions was truth for my soul! It was the final piece of the health puzzle I had laboriously been working towards. 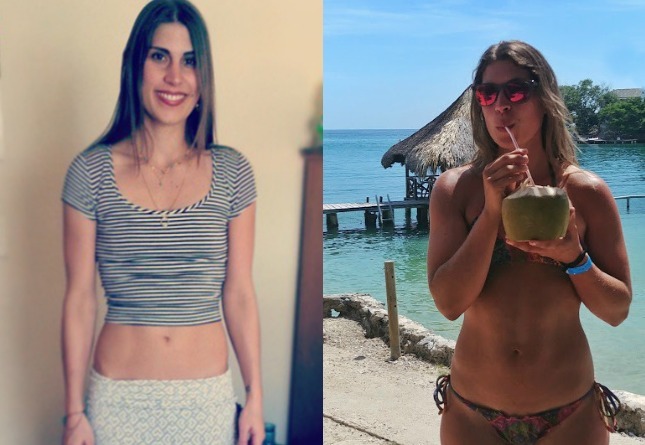 Within a week of implementing the tweaks to my diet, which included eliminating grains, eating more fat, and an overhaul of my exercise, I saw drastic improvements in my body composition and fitness level. Now, I jog when I feel like it, but mostly take lots of walks with my husband, and sometimes with a weighted vest. I do weekly sprint sessions in my backyard, and a daily sprint to my mailbox and compost pile. I consistently lift heavy things—PEMs, haul firewood, or even a bit of “CrossFit” at home to mix it up a bit. I truly enjoy my exercise since it’s so easy to fit in anytime, anywhere. Learning more about the importance of vitamin D for overall health and protection from cancers has freed me to enjoy the sunlight. Living in Nebraska means dark winters and minimal sunlight, so I supplement with vitamin D, and my SAD has improved tremendously. My headaches are completely gone, and I’ve seen improvements in my skin, energy levels, and cravings. I can’t remember the last time I had to unbutton my pants after a meal! While I am perfectly content with my body composition, it’s funny; I hardly think about it anymore. My sons have experienced the benefits of reduced acne and mood swings, the need to “carb up” before or after ball games, and improved strength. I can’t even name a “family doctor” for any of us when asked—we just don’t need one. Redeeming my time has been one of the greatest benefits of primal living. I’m learning to rest and play—as a type A “doer,” this is hard for me. We’ve been enjoying weekly backyard volleyball and Ultimate Frisbee games with our sons and friends, and I am spending time enjoying coffee on our front porch. If there’s one thing I’ve learned about being successful at a given ‘task,’ it’s that you have to give “IT” its due time. And it starts with a plan. Having a plan gives purpose, and purpose empowers. Over the years, it has been my mission to inspire other women to flourish in their own lives by taking responsibility for what God has placed right in front of them—their jobs, parenting, relationships, and even laundry. Health is no different. 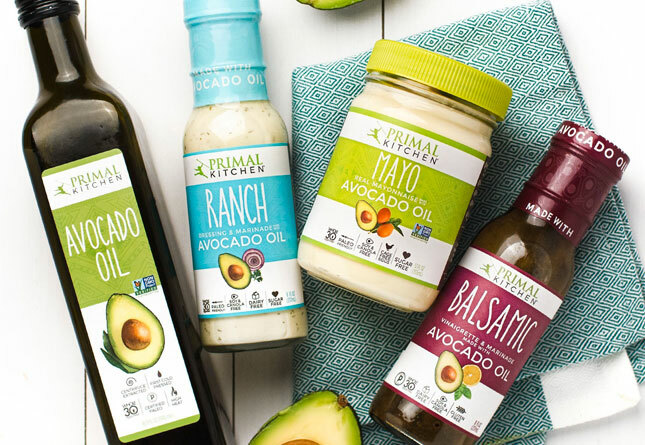 Primal living offers simple, effective, and efficient principles for sustainable health that anyone can implement, and I naturally began to spread this message with the same passion. 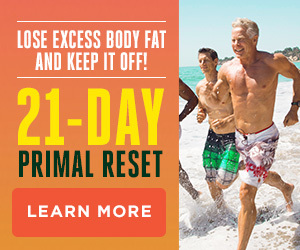 When The Primal Health Expert Certification became available, I immediately enrolled. My busy life homeschooling high school boys, their sports, and serving as a media/communications director for our church and basketball team took a lot of my energy, so I went through the coursework slowly, at my own pace. During that time the course was changed to the Primal Health Coach Institute Certification, an idea that I, at first, dismissed due to the busyness of my life. But God had a different path for me, showing me those I could share my new wealth of information with: a group of moms implementing PEMs; a couple successfully completing the 21-Day Transformation; my son’s friend—eating and exercising with us, and losing 30 lbs to improve his basketball game; a dear friend with fibromyalgia; and my sister, who has PCOS and pre-diabetic symptoms. 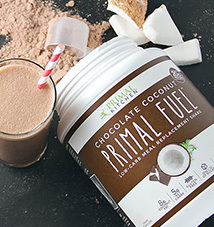 Last year my youngest son graduated high school, and I graduated as a Primal Health Coach! It is the perfect time to start a new chapter in my life, so with the encouragement of my husband and sons, I opened my own coaching business, Primally Empowered. I followed the business model suggested by the PHCI program and built a website, registered on the Primal Health Coach Institute website, and implemented the forms and suggested coaching program. I began blogging, which is my least favorite part, but I’m finding a pattern of topic interests my clients prefer. I’ve had the opportunity to coach over 10 people in the last year! I’ve been contacted via word of mouth, the PHCI website list, and just from talking with individuals I run into. I’m currently coaching a woman who intends to go on and become a Primal Health Coach. I am finding my niche is people/couples in my age range who are realizing their weight and health are keeping them from the life they really want, and desire to live the rest of their lives well. It is so empowering and fulfilling to see people truly change their lives! I’m not searching for a full time job, but I recently came across the opportunity to work for a functional medicine doctor who will be opening her own clinic and is swamped with ill patients. We will see where this journey takes me! 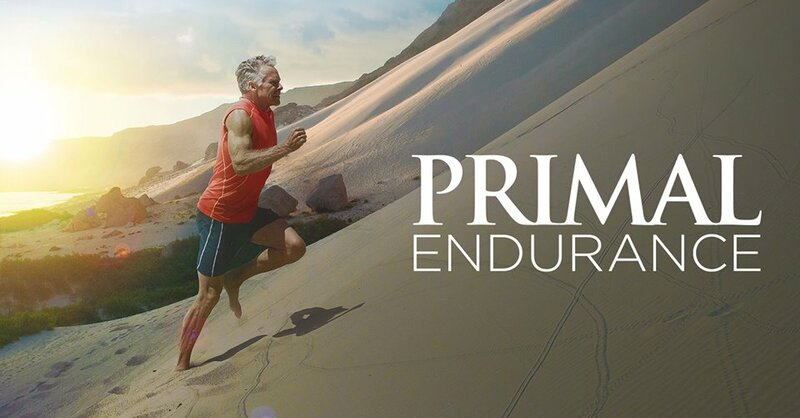 Though I discovered the Primal Blueprint only five years ago, my life has paralleled primal living in many ways. 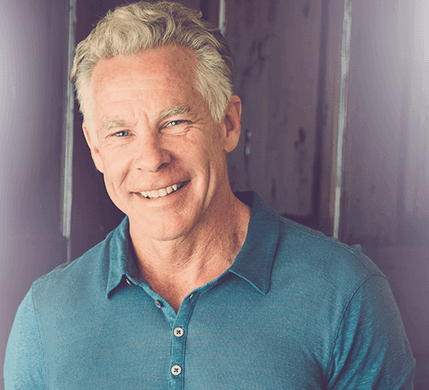 The Primal Health Coach Institute program has empowered me with the knowledge and the confidence to merge these two paths to help individuals address their health challenges by engaging them one-to-one as a personal coach. Incredible story… love your website… especially love the “before and after” pictures on the home page. You and hubby look amazing. Keep up the good work for us sapiens. Looking radiant and happy! 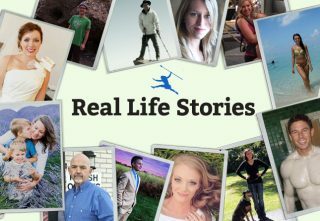 Thanks for sharing your story and best of luck in helping others here on out! Wow, Monica! What an inspiring story! Thanks for sharing! Beautiful story! I love how your success has spilled over into blessing others. You are the “salt” of the earth ? Great story, you look so happy and healthy too. I really like your website, you lay it all out so simply, how to eat and how to move. Really inspiring. Great Post! It is very interesting and informative content to read. Hey Mark, thanks for sharing another real-life success story. This kind of story inspires many to follow healthy and good habits in life. By following the mentioned tips anyone can keep themselves always healthy.